Prominent & Leading Exporter from Chennai, we offer excavator long booms, excavator buckets, quick couplers, i-prid grabber attachment and i-prid high bed attachment. Our industry manufacture Excavator Long Booms and that can be shipped to any part of the globe to any part of the globe. 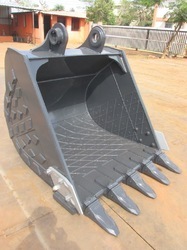 We are offering Excavator Buckets to our clients. Renowned Manufacturer of buckets based on customer needs ranging a wide variety customization done if required. It is fabricated for Excavators, Backhoes and Wheel Loaders of Bucket Capacities ranging from 0.1 m3 to 12 m3. We are offering Quick Couplers to our clients. Experience our high quality imported i-PridQuick Coupler which would boost your productivity save time. Suitable for all major brands of Excavators Backhoes ranging from 6 Tons – 100 Tons Class. 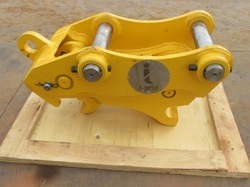 We are offering I-Prid Grabber Attachment to our clients. We have different types of Grabbers for all tonnage excavators. We are offering I-Prid High Bed Attachment to our clients. I-Prid High Bed for excavators. We are the only manufacturers in India.